Valley of Thracians, my suspense novel set in Bulgaria, was called a "psychologically astute thriller" and selected as a "Thriller of the Month" for June on e-thriller.com, a website devoted to reviewing and recommending the best thrillers for Kindles and/or other e-reader devices. The novel "is a sober, psychologically astute thriller set in an exotic part of the world – ancient civilizations and artifacts, corrupt smugglers and personal flaws and secrets are a potent mix in this one," the website's review said. 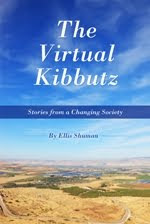 The reviewer on the website concluded her review by writing, "We are absorbed in this culture and by the story. Very impressive." 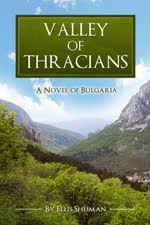 Valley of Thracians was one of six books selected for the prestigious award in June. The other books selected were The Shining Girls by Lauren Beukes; White Gold by Rachel Amphlett; The Geneva Decision by Seeley James; The Blackstock and Myllnestone Casebook by Mel Tebbutt-Bushell; and Cold Killing by Luke Delaney, published by Harper Collins. 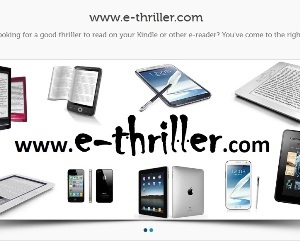 The website describes itself as "the leading reviewer of e-thrillers from major publishers and independents." Each month the site receives dozens of submissions for review, but only the best and most thrilling novels receive Thriller of the Month recognition.